Earlier, the White House had called the ruling Tuesday by US District Judge William Alsup in San Francisco "outrageous"
Washington: President Donald Trump lashed out Wednesday at the US judicial system as "broken and unfair" after a judge blocked his decision to end a program that protects so-called "Dreamers" from deportation. 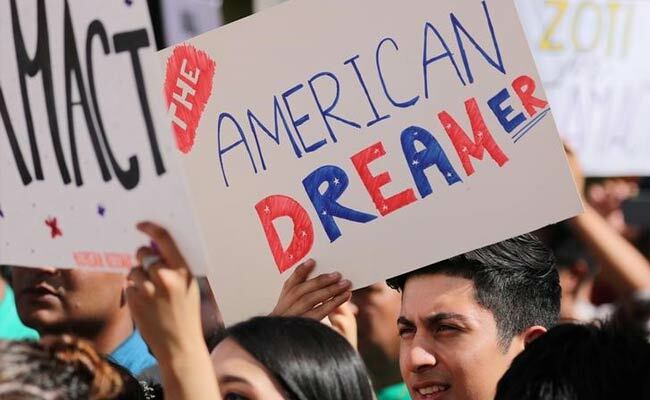 Earlier, the White House had called the ruling Tuesday by US District Judge William Alsup in San Francisco "outrageous," coming the same day Trump met lawmakers from both camps on the so-called Deferred Action for Childhood Arrivals, or DACA, program. "It just shows everyone how broken and unfair our Court System is when the opposing side in a case (such as DACA) always runs to the 9th Circuit and almost always wins before being reversed by higher courts," Trump said in a tweet. The DACA program, instituted by Trump's predecessor Barack Obama in 2012, protects from deportation hundreds of thousands of immigrants who arrived in the country illegally as children.